Born in 1933, Will was the son of Lithuanian immigrants Enoch (Stankus) Stone and Anna Dabulski of Bulpitt, a small Lithuanian-American enclave just outside Kincaid in Christian County, south of Springfield. 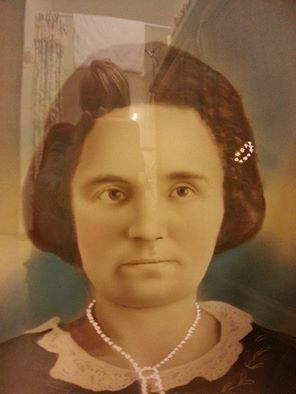 Enoch came to the United States from Lithuania around 1926 at the age of 38 and married Anna five years later, in 1931. 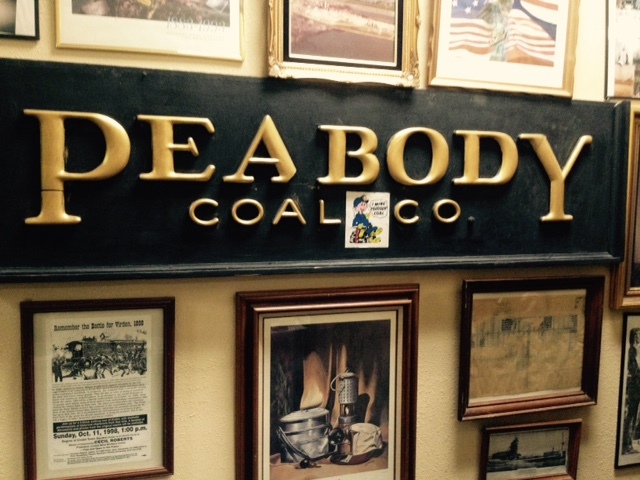 The couple had two sons, and Enoch was employed at Peabody Coal Co. No. 7 in the South Fork area near Kincaid. Enoch’s son Will also grew up to become a Christian County coal miner. But first, he was a star Kincaid High School athlete known throughout area sport conferences for his agility in football, basketball and track. He made all-state teams in both football and basketball and was a longtime holder of the state’s shot put record. 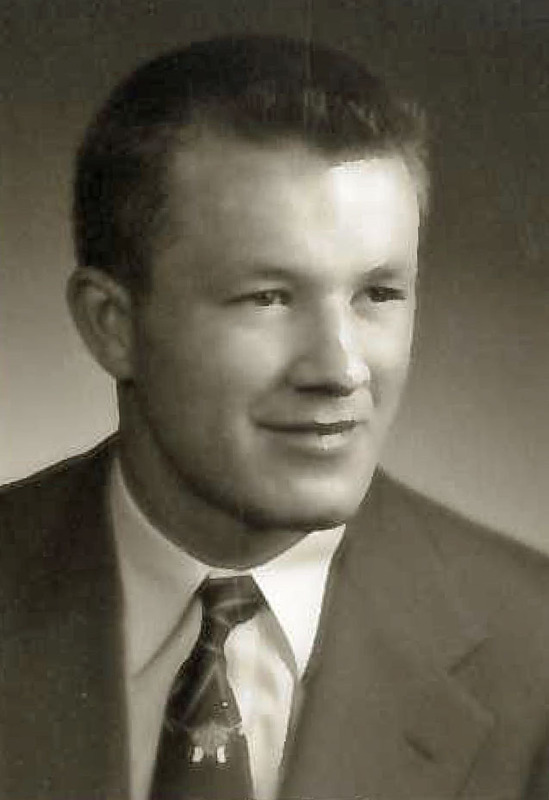 Upon graduating high school in 1953, he was awarded a full scholarship to play football at the University of Arkansas. However, family needs led him back to Bulpitt to support his widowed mother, and after working several factory jobs, Will started mining at Peabody No. 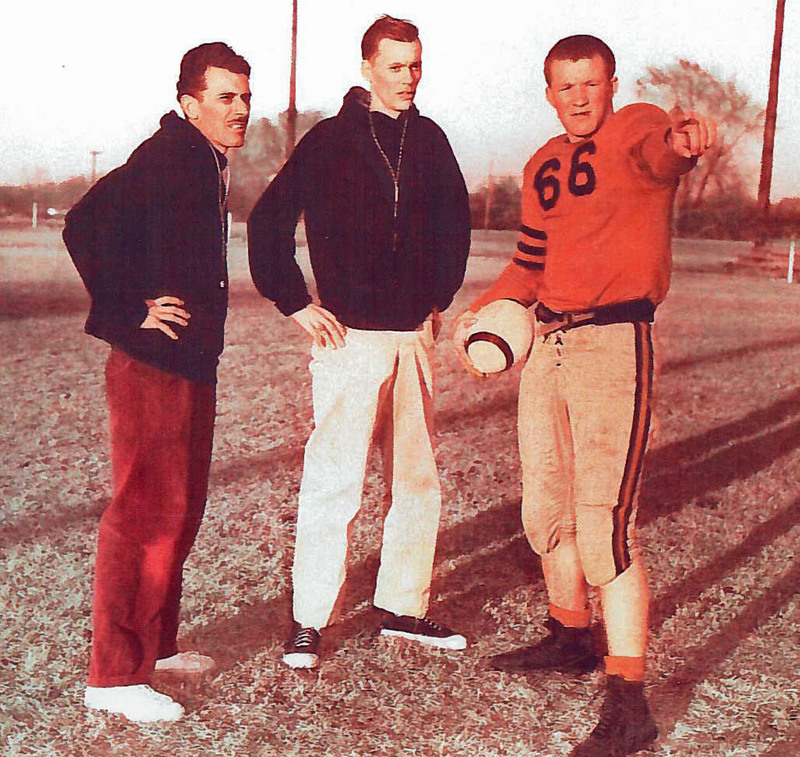 10 (Pawnee) in 1960, from which he retired in 1991.
will Stone, #66, Kincaid High School football player, circa 1952. Will leaves behind his wifeJoAnn (Tonks) Stone, two step-children and numerous step-grandchildren. At about the same time he opened the coal miner’s museum, he placed a granite monument to himself and his fellow miners on the north lawn of Taylorville’s courthouse. The non-profit museum that Will personally operated since its opening, and in which he said he invested about $10,000, is currently in transition to different management and a new location. 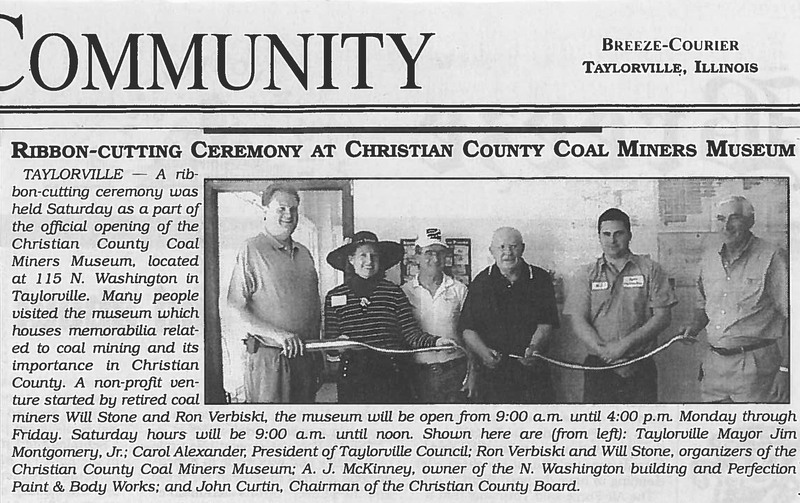 Taylorville newspaper article announcing the museum’s opening, 2003. However, the museum’s three tightly-packed rooms and one long hallway still store a wide variety of memorabilia related to coal mining and its importance to Christian County (which was, not by coincidence, ground zero for the infamous Central Illinois “Mine Wars” 1932-36.) Several articles on display that caught my attention were about Mine War “martyrs” from the Progressive Miners of America, the new union that formed from former United Mine Workers of America members in 1932 to strike Peabody Coal. During the “Wars,” dozens of deaths resulted from gunfights and other violent clashes, most of them in the so-called “Midland Tract” around Taylorville where many Peabody mines were located. The county jail in Taylorville was often full of arrested miners, and the city’s newspaper was bombed. Museum’s text about PMA martyrs, the “Mine Wars,” 1932-36. Three of the PMA martyrs mentioned in the museum were Andy Gyenes of Tovey, who was shot and killed in 1932, and Mrs. Emma Cumerlato, who was killed by a stray bullet on the porch of a Kincaid home in 1933 (in the same melee at the entrance of Peabody No. 7 in which PMA miner Vincent Rodems was also killed.) 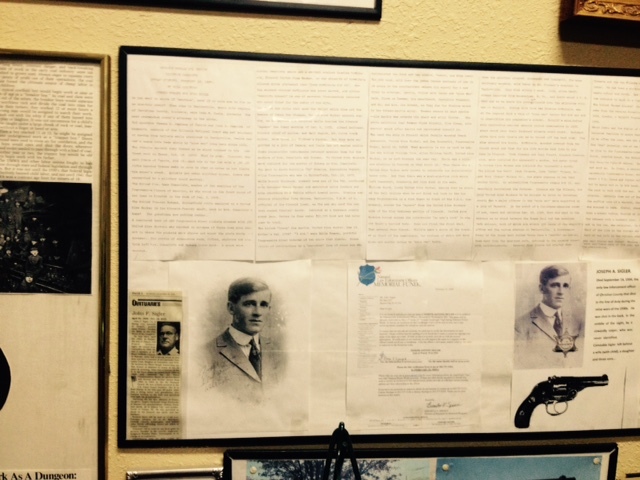 Joseph Sigler was described as the “only law man shot and killed in Taylorville” during the violence, in 1934. Miners’ uniforms and equipment, including hats with carbide headlamps, lunch pails, gas detectors and emergency oxygen generators, were also on display. Will made a point of mentioning to me with great pride that Peabody #7 in Kincaid had the highest production numbers (tonnage) in the world at the peak of its operation. Despite mining’s difficult conditions, which improved after the 1930s, Will clearly showed the pride in hard work and production—and his miners’ union, the UMWA–that characterize the profession. I am very happy I got the chance to meet him, even briefly, and visit the coal miners’ museum he loved. Coal mining was extremely hazardous work during the early years of the 20th century, when labor was cheap and plentiful, and workplace protections few. After ”shot-firers” blasted the coal seams apart (or took down the walls of coal), other men and loaded “trips” of cars full of coal. Timbermen timbered ceilings to create stable passageways and work “rooms,” but as you’ll see from the casualties below, rock or slate falls were common causes of death and injury. “Clod men” cleaned the rooms and passageways of fallen slate. In fact, human casualties were so common that some historical records only log accidents in which two or more miners died. Public blame usually fell on victims, despite routinely dangerous working conditions that would never pass muster today (mainly improperly timbered or buttressed walls and ceilings, explosive coal dust and deadly gases called “afterdamp.” ) There were no death or injury benefits from the company, only from the newly founded union, for surviving families or the disabled. 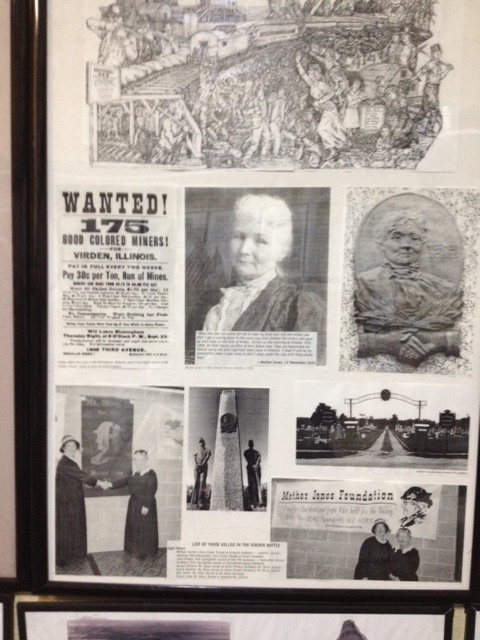 Advertisement for “colored’ miners from the southern states to mine coal in Virden, plus Mother Jones images. 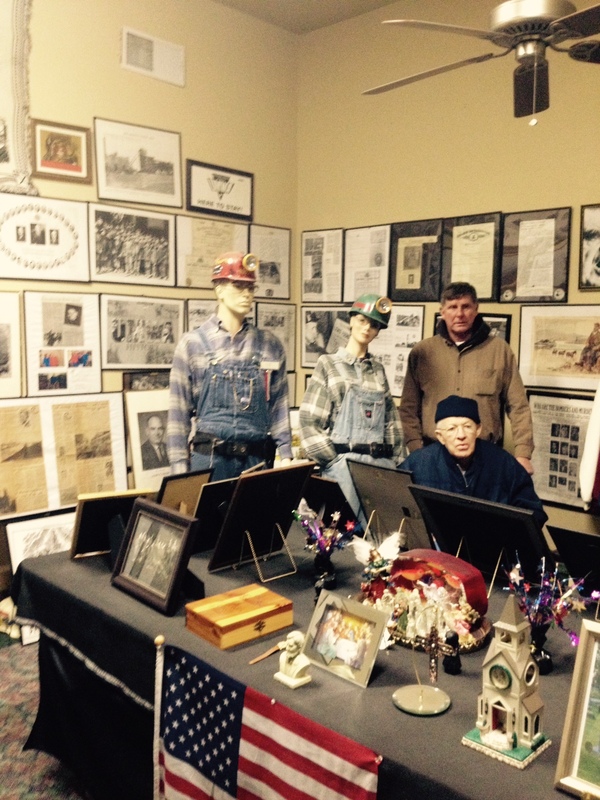 Christian County Coal Miners’ Museum, 2014. Thanks for all your work on this interesting piece! Thanks, Sandy. Great story! My mother’s brothers Bill and John Green (Lith name Grenowage pronounced Grenavich) both lived in T’ville and worked at #7, 8, 9 and 10. In the early 60s Commonwealth Edison built a power plant adjacent to #10 to supplement Chicago’s energy requirements eliminating the need for transportation. #10 shut down in 1994. The hard and very dangerous life of a miner and his family is beyond my comprehension. Your research, detailing the personal lives of Lithuanian miners, the union wars, the injuries and loss of life–what struggles they had to endure day after day. Thank you for including me on your reading blog list.